Location: Village Land Field District of Valley Fresh, Sawahlunto. West Sumatra. 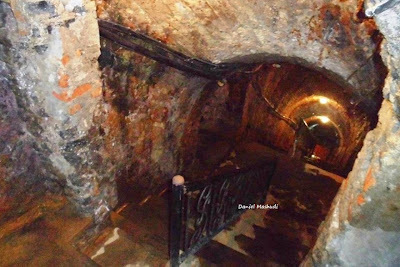 Soero hole is an underground hallway or under a township residents who have long hallways. This hallway initiated from the Village Land Field up to Parliament's office. That is, the hall hole Soero Mbah reached 1.5 km with an inclination of about 20 degrees. Soero pit mining is the starting point of open pit mining in Sawahlunto city. The opening hole Soero done since 1891, while the construction is carried out in 1898. Not much different from other mining areas, in holes Soero also diperkejakan those penalties, known as 'the chain'. In the course of its history, location is very close to the hole Soero Trunk Lunto that bring harm to the environment and the mine itself. That is, the hole that had been dug with difficulty and so in the former was closed because water infiltrated yag comes from infiltration Trunk Lunto. As a result, in 1932 pembangan in this Soero hole had to be stopped. At some point in the Soero Hole forced closed again in order to avoid a greater danger. The closing hole is done with concrete walls. While it was closed, but after independence hole Mine Mbah Soero reopened in part to conduct an investigation. However, the same conditions in 1932 re-encountered. This means that mining remains can not be done as it is covered by water seepage Trunk Lunto. Mbah Soero itself known as a foreman very close with the chain and the community, he is also known to have a high kebathinan science. Because of the ability to get along and science high pupalah Mbah Soero eventually become a role model of society. Mbah Suro Airport has 5 children with 13 grandchildren. While his wife a midwife. Mbah Suro died before 1930 and is buried in the cemetery One chain, Tanjung Sari, Sawahlunto. In his journey some people call this first open pit mine by the name of 'Fresh Holes', because this hole is located in the Valley Fresh. However, from some of the most popular name in the hearts of the people Sawahlunto is Mine Mbah Soero hole. When we look at the history of the manufacturing and mining dilematika is very high. Ranging from the history, the story and the story of the chain can not be separated from this Soero hole. 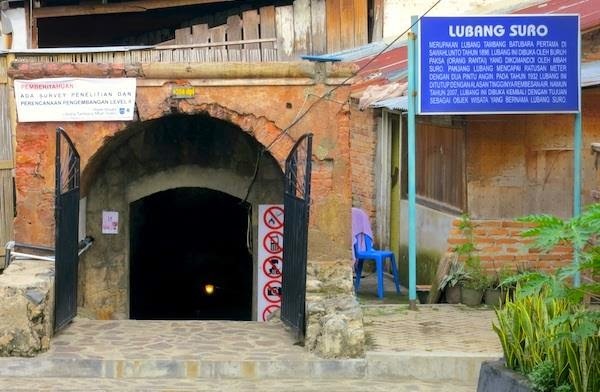 In line with the vision of the city is the City Mine Tour Sawahlunto cultured then, Sawahlunto municipal government to reopen the historical witness.